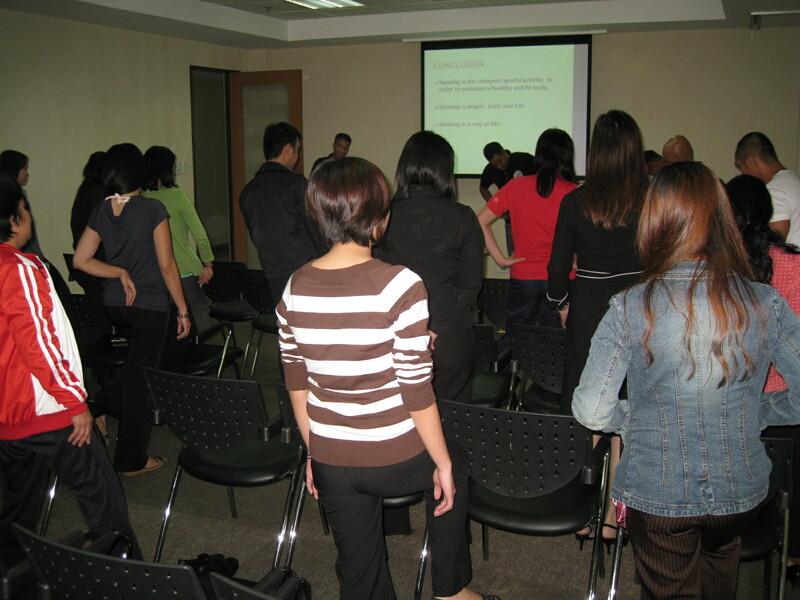 Running Lecture @ Wyeth, Phils. 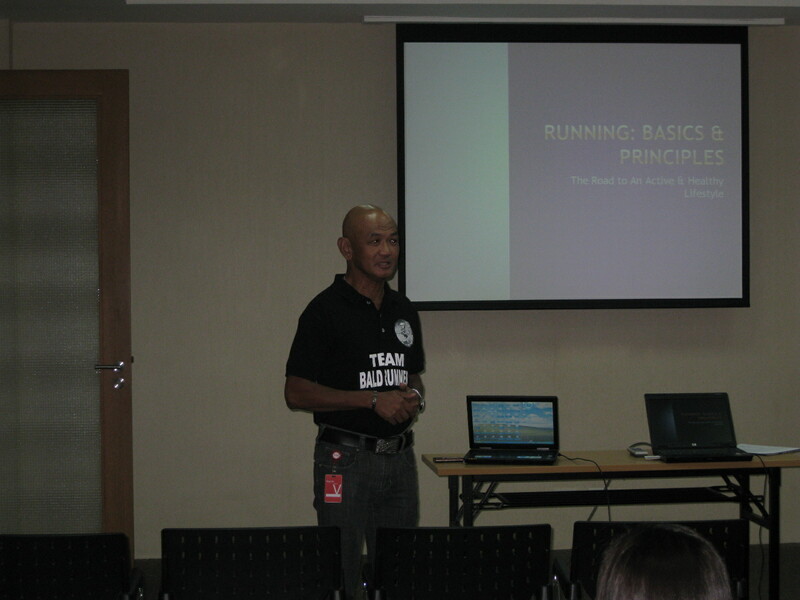 Chito Carreon, a passionate ultrarunner and “veteran” of BDM 102K Ultramarathon Race and one of the executives of Wyeth, Philippines, invited me for a Running Lecture/Clinic to interested officers, staff and employees of the company on the first week of October 2010 at their corporate office in Makati City. 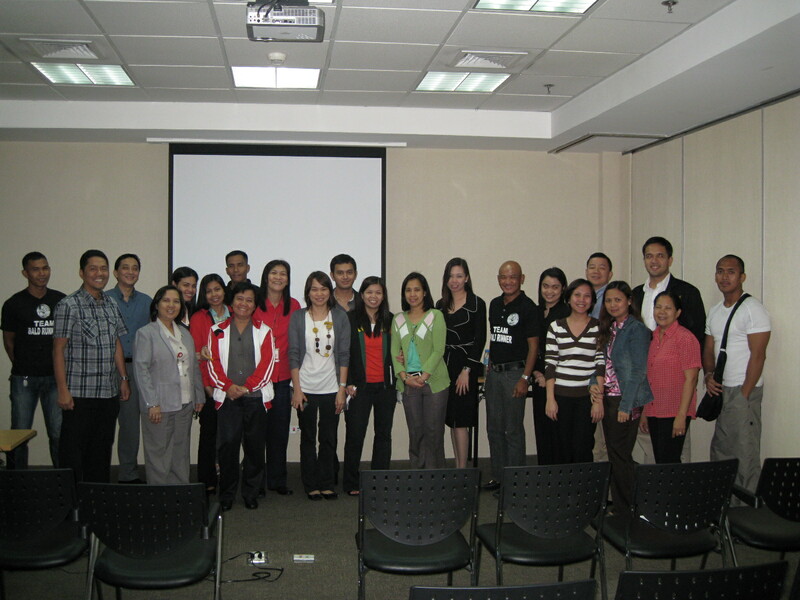 The lecture was conducted at 3:30 PM to 5:30 PM in the presence of almost 30 participants. 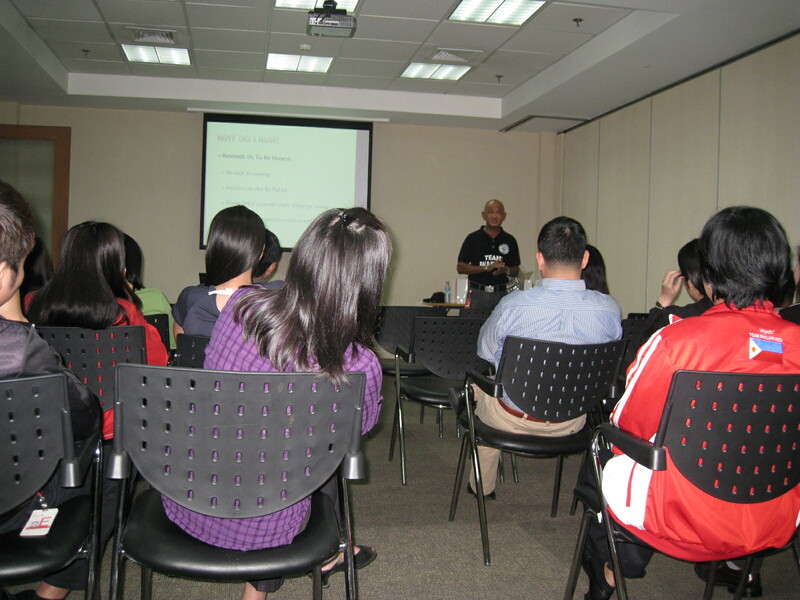 The activity started with a lecture on the Basics and Principles of Running. After the lecture presentation, the participants were encouraged to join the members of the Elite Team Bald Runner on the practical side of running. Demonstration on the warm-up and stretching exercises which are done before and after running workouts were done by the participants. After the demonstrations, “running drills” were also performed by everybody. 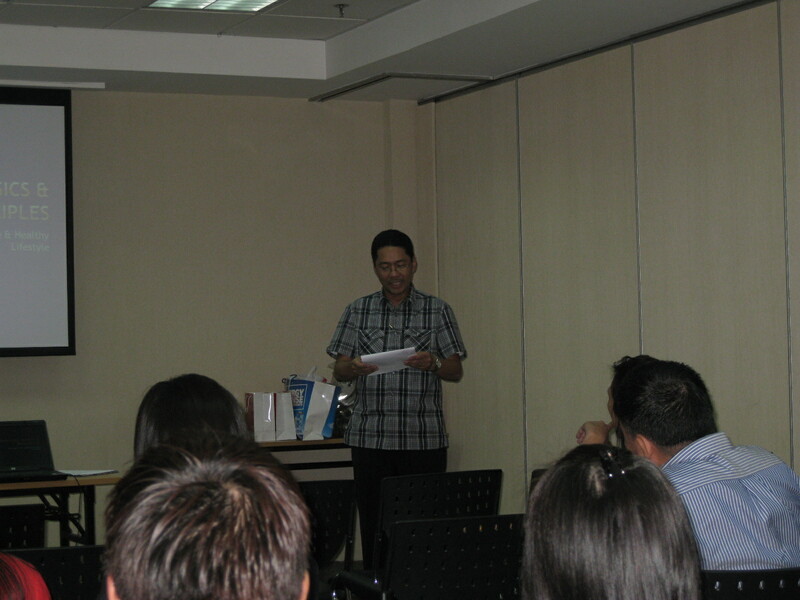 An Open Forum was conducted to answer the questions/concerns of the participants. Mr Carreon was kind and generous to present to the members of the team with gifts, running shoes for my Project Donate A Shoe, vitamins and other products of the company, certificates and “giveaways” before we finally ended the activity. Thanks to Chito Carreon and to Wyeth, Philippines. Such gifts are in the “need-list” of my elite athletes. Tags: BR's Running Lecture, Running, Wyeth Phils Running Lecture, Wyeth Phils. Hi Sir Jovie thanks for giving us your time, our Canlubang plant is requesting for another lecture next year, thanks again!